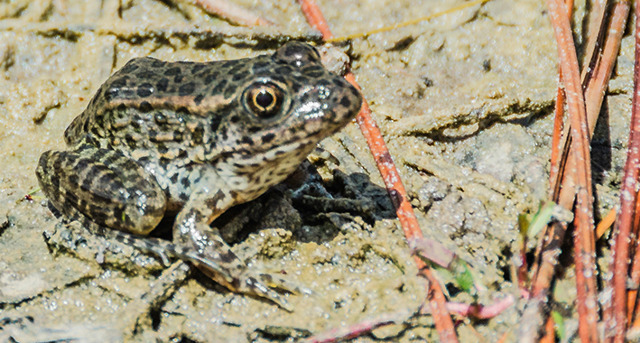 The Carolina gopher frog (Rana capito) is a little animal with a big problem. Previously the species, lived in 30 populations across North Carolina; now only six remain. Pressured by destruction of habitat, drought and diseases, the remaining populations face a higher risk of local extinction. The animal is now listed as endangered by the the North Carolina Wildlife Resources Commission (NCWRC). 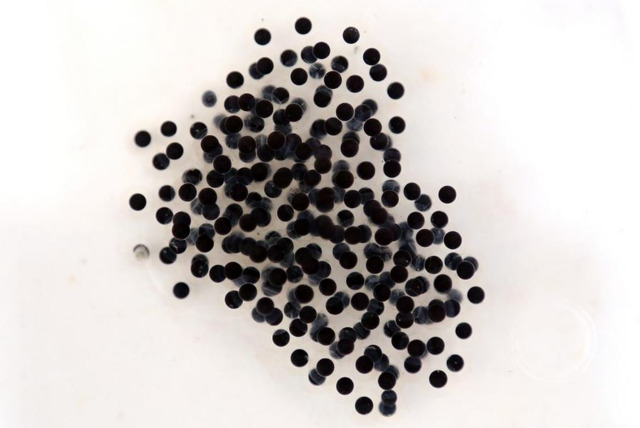 In an effort to offset the rapid decline of these animals, the North Carolina Aquariums is collaborating with NCWRC on a long-term initiative to help natural breeding, stabilize existing populations and responsibly maintain the genetic diversity of the species. 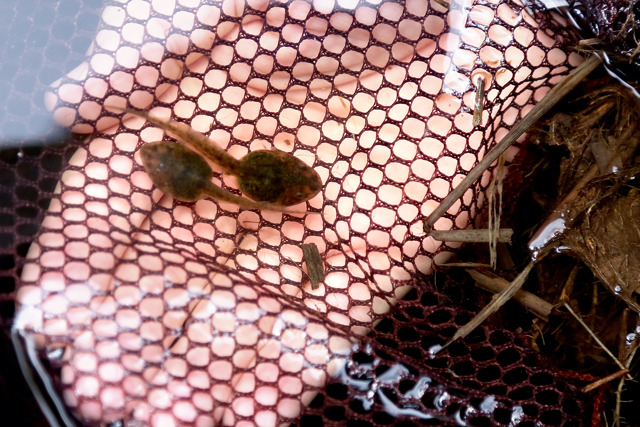 Each spring, our team collects Carolina gopher frog eggs in the wild and raises them into froglets. The animals are weighed, measured and tagged with a Visual Implant Elastomer (VIE). The frogs are then released back into local habitats. The tags allow Aquarium and NCWRC scientists to identify frogs by year of release, if collected in future survey efforts. 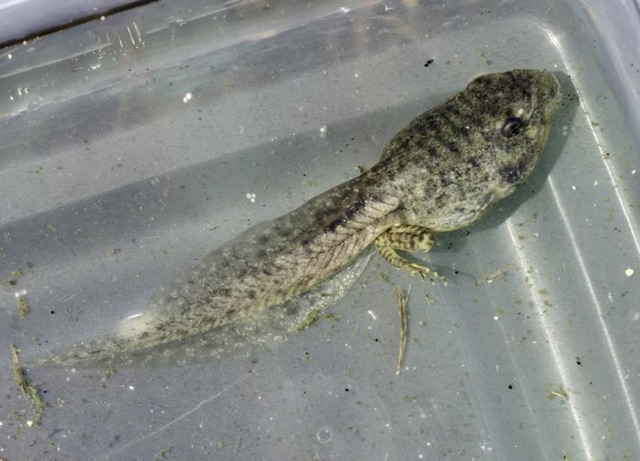 In 2018, the Aquarium team raised and released nearly 800 healthy frogs. 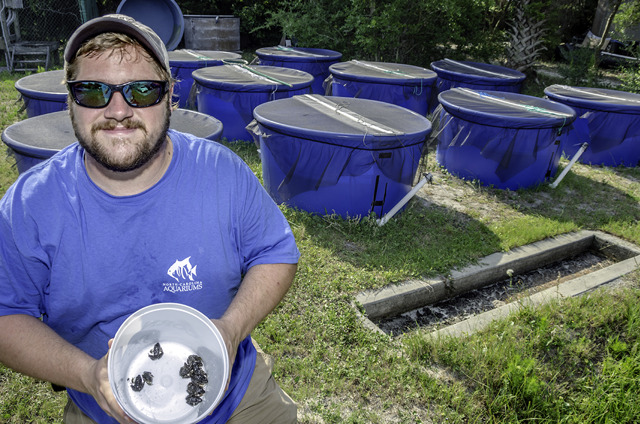 Since the partnership began in 2015, more than 1,300 Carolina gopher frogs have been raised and released in southeastern North Carolina.